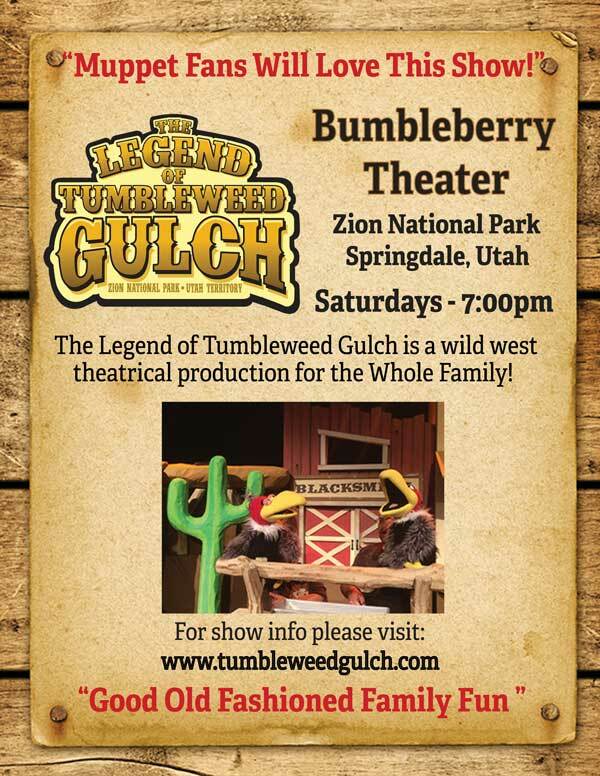 Just a reminder that The Legend of Tumbleweed Gulch is playing every Saturday at 7:00 pm in Springdale, Utah at the Bumbleberry Theater! 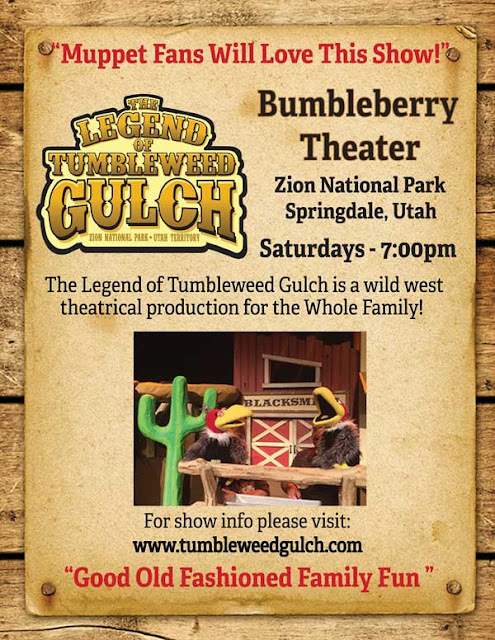 This is a fun show that is perfect for children! Go early and enjoy one of Springdale's unique restaurants.